WISE KIDS founder Sangeet Bhullar on why we need a rethink on how we prepare and support people in the digitally connected world. 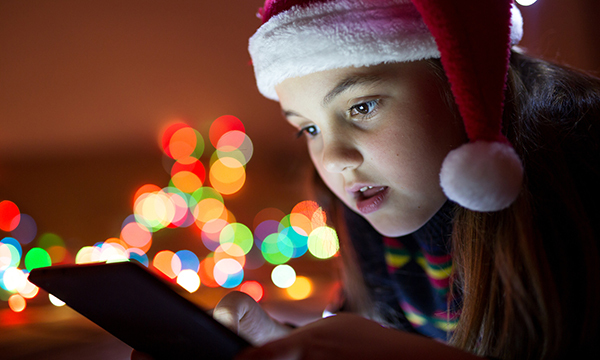 It is almost Christmas, and for many parents, this will be a time for buying their children or themselves new gadgets or software – smartphones, tablets, game consoles, games, apps and more. Indeed digital and online technologies are everywhere, and many of us rely heavily on our devices today for messaging our friends and family, looking up everyday information, shopping, entertainment and to access learning. These connected technologies connect us all globally, and they are changing how we live, learn, do business and socialise. The world of education provides us with some of the best examples of how online digital services are removing the walls of a traditional classroom. Today, you and I can learn virtually anything online, and terms like YouTube, blogs, podcasts, social media are commonplace jargon. The fact that some of the top universities are putting their course content online for free, or that some of the top institutions are running free MOOCS (Massive Open Online Learning) courses in a diverse range of subjects – which anyone can join online for free, changes where, what and how we can learn. Yet many practitioners, as well as young people may not be aware of these developments. Similarly, when we think of social media services like Facebook, Snapchat, Instagram, Twitter, YouTube it would be simple to think of these as simply entertainment services, or dismiss them as ‘young people’s’ services but, they are more than that. Many global businesses today use these very same social media platforms to engage with customers, educate, network and showcase products, and more. However, the world of online opportunity also comes with online risks for children and young people as well as adults – for example being exposed to inappropriate online content, cyberbullying, inappropriate contact and grooming, sextortion, online radicalisation, online scams, identity theft, addiction and more. But if we delve more deeply into how risk becomes harm, we recognise that this is not simply about a lack of digital skills – for example, not knowing how to make an Instagram account private – but larger factors such as the the child’s own well-being incorporating resilience, self-confidence, self-awareness, behaviour, self-regulation, support system, cognitive ability and more. If we are to truly prepare and support young people for this digitally connected world, we need to rethink how we approach these issues. We must start by asking children themselves about their online experiences. If we can create a safe, non-judgemental space to explore with them what they love about the internet, and then what they don’t like, we will have a better insight into the gaps in their knowledge and the support they need. We also need to engage children through discussion, stories, role play and reflection, to help them understand and reflect on the differences between online and offline, legal issues, online consequences when inappropriate or negative content is shared online, and what actions they can take, and their sources of support. We need to listen and learn from them. We also need better whole school approaches to developing character, well-being and resilience. Age appropriate education and guidance is also essential, so that by the time children leave school, they are able to detect and manage risk wherever they are. However, we cannot simply stop at safety. This is also about a wider issues of digital citizenship – preparing and supporting our young to be able to thrive in a digitally connected world and to be digitally literate, compassionate, respectful users of the internet. We owe it to our children and young people to keep up to date, inspire and guide them to understand the possibilities these technologies can present, while helping themselves and their friends keep safe. This is the focus of our work in WISE KIDS, and on 30 January 2017, we are organising a summit in Cardiff to discuss these issues. To find out more go to the WISE KIDS website.